Elle attended the Power Stylists Dinner with her sister Dakota Fanning a couple of days ago! The sisters were there to honor Samantha McMillen, their stylist. The story of Violet and Theodore, who meet and change each other’s lives forever. As they struggle with the emotional and physical scars of their past, they discover that even the smallest places and moments can mean something. The complex relationship of Maleficent and Aurora continues to be explored as they face new threats to the magical land of the Moors. Violet is a shy teenager who dreams of escaping her small town and pursuing her passion to sing. With the help of an unlikely mentor, she enters a local singing competition that will test her integrity, talent and ambition. Hitman Roy Cady is diagnosed with lung cancer at 40. He has more pressing concerns, however, seeing as his boss has decided to remove him from the business (and the world) via a set-up. Visit www.dakota-fanning.org for all things Dakota Fanning! Do you have photos, magazine scans, videos, or anything that you’d like us to add to our archive? If so, you are more than welcome to send them our way. We are always accepting content donation, and we will aways credit you – just make sure you give us a name and a link. You can send them to our e-mail address and we’ll reply as soon as we add them to our fansite. Please note that anything that violates Elle’s privacy will not be posted. 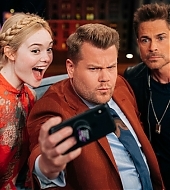 Totally Elle (www.elle-fanning.net) was created by fans, for fans. All original content and graphics belong to Totally Elle and cannot be reproduced in any form without the permission of the webmaster. All professional photographs in our Image Archive belong to the original photographers. 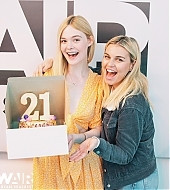 This is a nonprofit fansite and has no conection with Elle Fanning, her family or management. No copyright infrigment is ever intended, please contact us before taking legal action.